As you know, I’m all fired up about my recent trip to Quebec, Canada’s Gaspe Peninsula and the Bonaventure and Salmon lodges. I had a great experience and am booked in for another round next September. And I have a newfound appreciate for Atlantic salmon. Here’s a little snippet, a work-break length video on Norway’s Gaula River. Enjoy the bright fish. 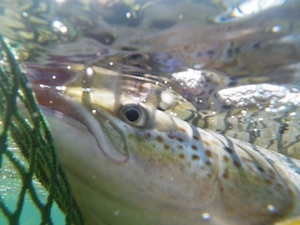 This entry was posted in Conservation, Spey, Travel and tagged Atlantic salmon, Gaula River, Norway. Bookmark the permalink.